Germán Cajiga was born in Quebradilla and was protected during the 1950s by the Governor Luis Muñoz Marín, who assigned him to work as a student at DIVEDCO. While studying there, he became interested in the silk-screen printing process known as serigraphy. He has an extensive traditionalist collection (DIVEDCO). 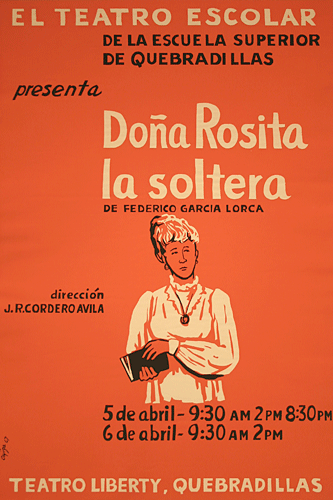 Of the 316 posters in the collection, 2 are by Germán Cajiga.